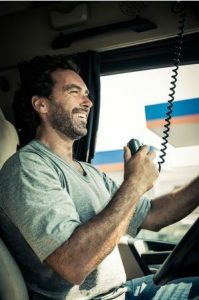 Uncategorized | Platinum Drivers Inc.
What Makes a Great Truck Driver? Vince Jungenberg, Jr., is a truck driver based out of the Midwest. He says, “First and foremost, they must have respect for the other motorists on the road.” The idea of respect and common courtesy for fellow drivers– whether they’re in trucks, cars, or whatever– is paramount. Sometimes it just makes sense to let others pass you, according to Vince. Vince also says a great truck driver is one who knows the rules and regulations regarding his or her profession “so as not to allow DOT to write countless violations.” To sum it up, Vince believes great truck drivers show others respect and courtesy while knowing and obeying laws. Dominic Dallessandro is based in the Northeast. He has driven some 4 million miles since 1991. Dominic believes great truckers are the kind of people who want to travel and see different places. From seeing the salt dunes in Utah to the bright lights of Vegas, and cacti in the desert, Dominic’s favorite part of the job is seeing “God’s country” in all its splendor. Sometimes he’s the only one on a stretch of highway for miles– just him and his rig. Dominic is often is away from home for several weeks at a time. Great truckers, he believes, are willing to miss out on things like graduations and holidays so people, in general, can have food on their tables. “A great trucker sacrifices his or her time and energy for you to enjoy your life,” he concludes. Indeed, great truckers are to be admired because they do the kind of work that makes America run well; without them, society would be a lot different– and not in a good way. Great truckers are reliable, responsible, sober, courteous, honest, and ever-alert. If you possess some of the aforementioned traits, have an excellent driving record, and you’ve got your CDL, Platinum Drivers can help place you with a company; contact Platinum Drivers at 844-800-1421 for more information.